The health benefits of honey are many and well-known. 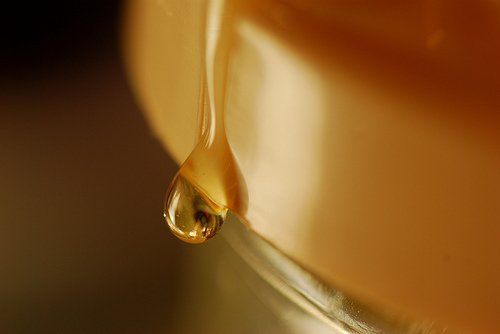 From skin cleanser to antibiotic, cough suppressant, allergy relief to just plain old sweetener, honey can do it all. But can it help you sleep? Some studies are suggesting that it can. I have to credit my sister-in-law for this one. She’s a recent convert to “all things natural” and is sharing her new discoveries with evangelical enthusiasm. The latest is the apparent evidence that having a spoonful of honey at bedtime helps you get to sleep, and stay asleep. She swears that she has noticed an enormous difference in her own sleep since trying this. I’ve struggled with insomnia my whole life. My son seems to be heading down the same route. As he has SPD (Sensory Processing Dysfunction) and possibly ADHD, his sleep is vitally important yet he cannot settle down to rest. We’ve had to resort to him taking melatonin most nights for the past couple years, though we’ve recently been working to find other means to help him relax and get to sleep. Will a simple dose of honey solve our sleep problems? We’re going to find out. And I’ll keep you posted right here on Eco Child’s Play. Stay tuned! Heather-not sure when you originally posted this but would like to know if you had any luck using honey to help your son sleep? Hi, did it work? I’m trying to find foods that can help me sleep. I would love to hear the results!